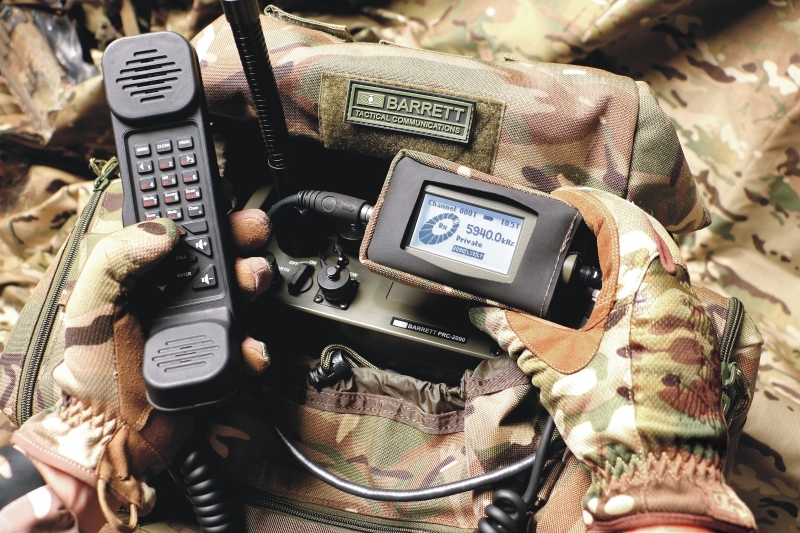 Barrett specialises in tactical, humanitarian and critical communications and is one of the leading designers and manufacturers of HF and VHF radio systems. 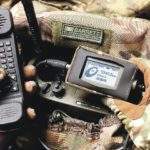 The radio systems provide voice, email, data, fax, and tracking solutions for fixed-base station, mobile and manpack portable applications. Barrett has developed a range of products designed to facilitate transmission within tactical situations, which are used by military organisations in more than 150 countries. 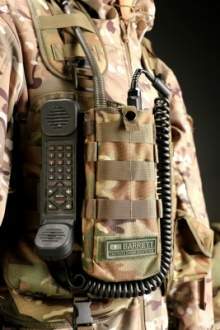 The rugged, tactical PRC-2090 HF transceiver system is designed for secure communications, while the PRC-2080+ Tactical VHF radio system delivers secure, tactical communication applications. Both products are available in manpack, mobile and base station configurations. Barrett’s rapid field deployment system (RFDS) is available for HF and VHF radio and enables teams to quickly establish temporary base stations. Comprising an all-in-one package that includes battery power, the RFDS can be deployed within minutes. 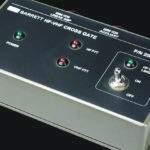 The 2063 HF-VHF Cross Gate maintains interoperability between short-range VHF and long-range HF radio transmissions. By fully automating the rebroadcasting of signals between both frequencies, it ensures that mission-critical information is relayed without operator interaction or the risk of miscommunication. Barrett HF radios offer critical communications capabilities for various public and private sector applications. An HF radio ensures that organisations are fully equipped to transmit voice, email, fax and data signals over both long and short distances; which is essential for critical communications. The 4050 HF software-defined radio (SDR) transceiver features advanced digital selective calling systems and is customisable for customer specifications. The 4050 SDR has fully automatic HF link set-up protocols for more intuitive operation, enabling direct calls from an address book, and has full iOS, Android and MS smart device interfacing so the user can operate the HF radio from their PC or smart device. 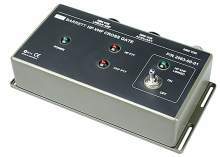 The 4017 automatic tuning horizontal dipole includes a rapid tune time of less than 1.5 seconds and is designed specifically for use with the Barrett 2000 and 4000 transceiver series. It features a solid-state design for added durability. Featuring a standard tuning time of less than 1.5 seconds, the 2019 automatic tuning mobile HF antenna is compatible with the Barrett Communications 2000 series of transceivers. It features solid-state design for added durability. HF radio operators can use the 2060 Automatic Telephone Interconnect to directly dial into and receive calls from the international phone network. Bringing advanced broadcast capabilities to HF radio, the 2020 HF Email System enables email, fax and data transmission over HF radio frequencies. For improved interoperability, the 2062 HF-VHF / UHF Crossgate enables the automatic rebroadcasting of communications between HF and VHF / UHF systems. Available in 500W or 1kW configurations, the 2075 HF high-power transmitter provides the necessary broadcasting power for base station operations. 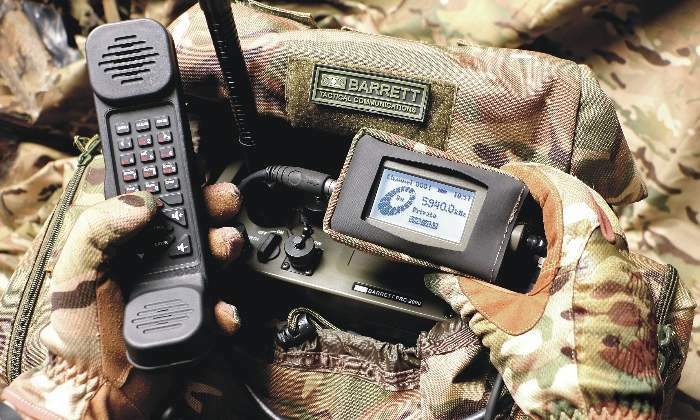 Established in 1976, Barrett Communications designs, manufactures and markets radio equipment for specialised, autonomous, medium and long-distance radio communications. Our technology is ISO 9001: 1008 quality assurance certified. 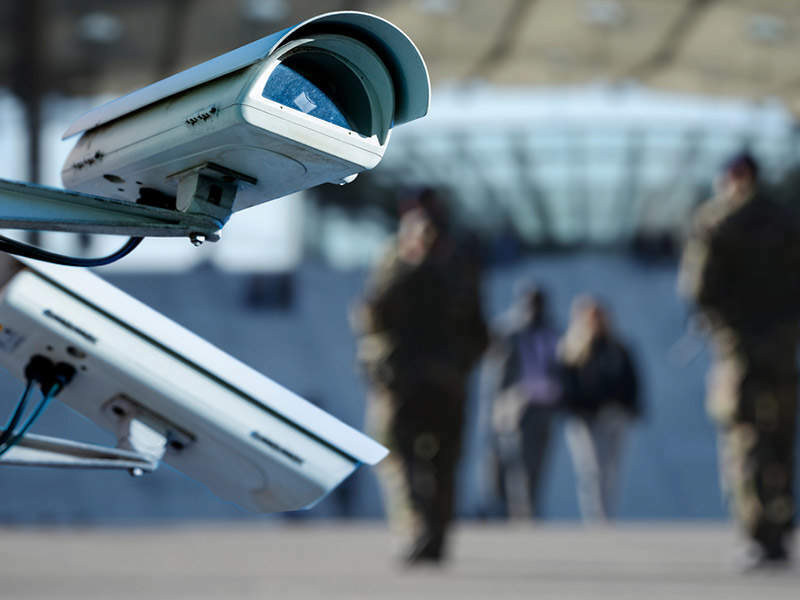 The company specialises in systems and equipment for a range of markets, including defence, civil security, humanitarian and government. With a worldwide distribution and support network, Barrett provides high levels of service for international clients. 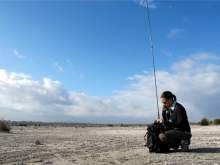 Barrett Communications has recently supplied high-frequency (HF) radio communications equipment for surveillance boats operating in the Aysen región of South of Chile. 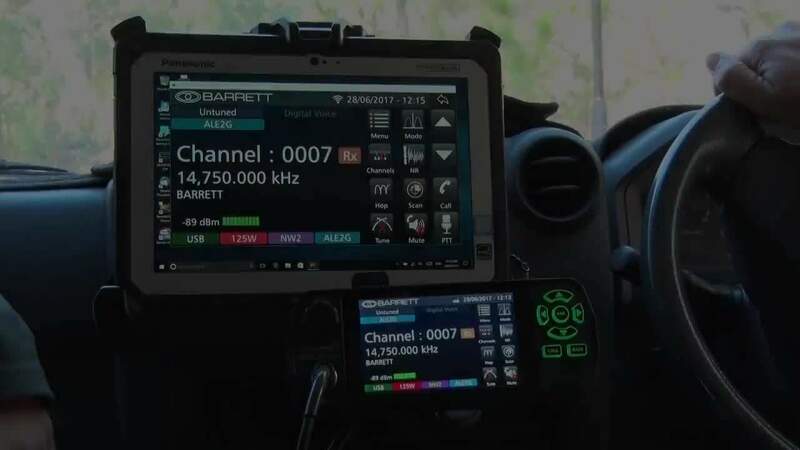 Barrett Communications has developed a new HF Software-Defined Radio (SDR) transceiver, the Barrett 4050 HF SDR, which incorporates a new generation of technology. 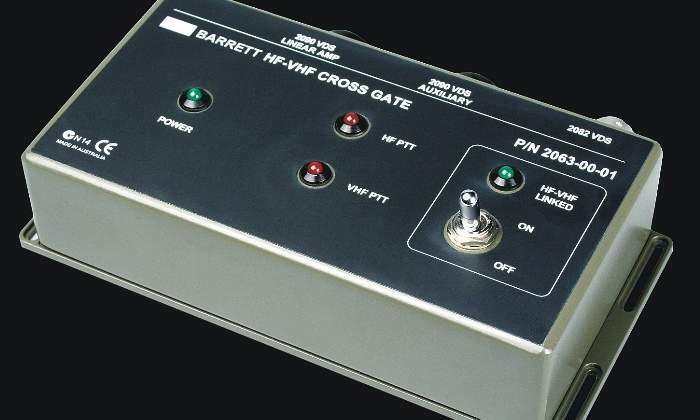 The Barrett 2063 HF-VHF Cross Gate provides seamless transfer of information from a Barrett VHF network onto a Barrett HF network without operator interaction. 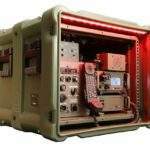 The PRC-2080+ low-band very high-frequency (VHF) transceiver is designed for multi-role tactical military and security applications. It is an extremely compact and lightweight unit, which is simple to operate in demanding mission critical conditions. 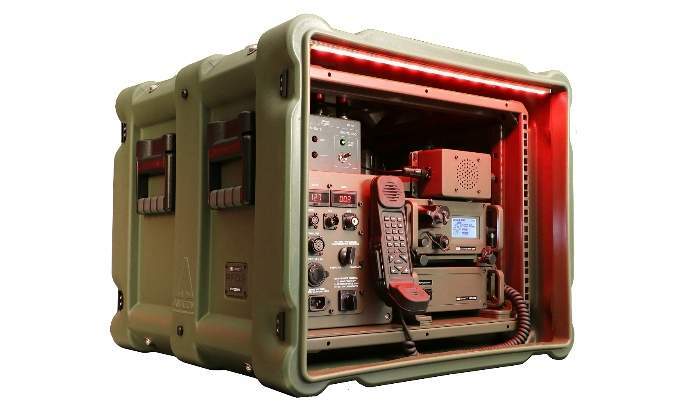 The PRC-2090 is a rugged, fully featured, tactical HF transceiver solution delivering proven field deployable secure communications with un-paralleled reliability. Designed for operation in the most challenging environments, the PRC-2090 complies with MIL-STD 810G for shock and vibration, is immersible to a depth of 1m and can be operated in extremes of temperature from -40°C to 70°C. The Republic of Fiji Military Forces (RFMF) were supplied with ten reconditioned Bushmaster armoured troop carrying vehicles fitted with Barrett PRC-2090 HF mobile systems and PRC-2080+ VHF mobile systems. Barrett Communications have announced the release of their latest product, the advanced Barrett 4075 high-power high-frequency (HF) transmitter. Barrett Communications have provided portable high-frequency (HF) radio communications equipment to the West Midlands Fire Services (WMFS) for their specialist search and rescue team when responding to international emergencies. Barrett Communications High Frequency (HF) radio communications equipment has been installed into armoured mobile air traffic control towers for use in African peacekeeping missions.